When we last left Aelin and Co. in Empire of Storms, things were really bad. Like, REALLY bad. 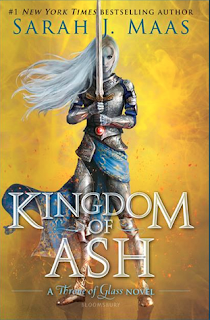 As in, "Aelin has been captured by Maeve and locked in an iron box and now no one knows where she is, and Lysandra has to pretend to BE her to keep the resistance going, because everyone knows they're probably going to die fighting the evil demon king, Erawan" bad. And Tower of Dawn had Chaol, Yrene, and Nesryn racing back to the Northern continent with reinforcements and the news that Maeve is really a Valg QUEEN in disguise. And Manon and Dorian are off on THEIR own, trying to find the third Wyrdkey, trying to find other witches who will ally with them since Manon has broken with her own clan with the news that she's the rightful Witch Queen of the Ironteeth AND the Crochans, and now she and the Thirteen are being hunted by their former friends. Let the fun begin. And by "fun," I mean, "the epic, possibly-world-ending war." Thoughts: OKAY. I know what you're thinking: "OMG she only gave this book three stars????" Yes. And it's not because it's bad (three stars = "I liked it! "), but because it's... too much. It's longer than it needed to be. Reading it felt like a lot of waiting and wading through stuff, and I read it FAST, too. (I started at 9pm on Monday, and finished it late Wednesday night, and that's even with a full-time job.) There were good parts in this book, but there was so much filler that it felt diluted, you know? I would've cut, like, a good 20 chapters. 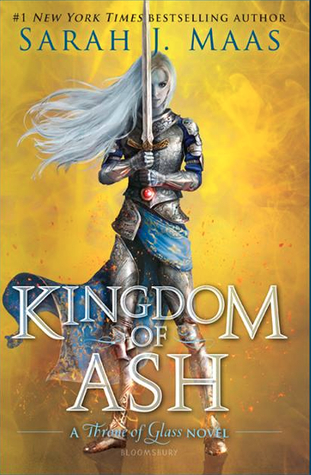 If I had to sum up the book in three words, it would be "Where is Aelin?" because I swear to god, that's all anyone is thinking for like, 85% of the book. Even after she is reunited with her crew (not a spoiler, because there's no way SJM was going to keep them apart for 984 pages), Aelin still has a tendency to walk off or wander off, so between ALL the different groups of characters, the one thing no one ever seems to know is where Aelin is. It got almost comical at points. Like, I'm not kidding, there's a scene where someone finally says, "WELL, THAT'S WHERE AELIN IS" for chuckles. And if it feels like I keep harping on that point, it's because all the GOOD stuff I want to talk about is spoilery! Okay, so what was good, that I can talk about? We really got to see some people shine, that you might not expect. Like, while technically they are all the heroes of the story, some of the actual, pivotal moments focus on characters who aren't Aelin or Rowan or Manon. There is a dizzying moment of sacrifice that had me sobbing. There are some powerful moments of vulnerability, a lot of raw emotion, punctuated with rare moments of playfulness (because god knows we need that). There are some definitely evil characters, some definitely good characters, and some DEFINITELY gray characters, or at least, gray moments for certain characters. And there is definitely Aelin, whose presence is at the back of your mind the entire book, whether she's in the scene or not, because you want to know how things are going to go. Because with her, nothing is ever as simple as it seems, and that's why we as fans have held on through so many books. So yeah. I liked this book. It's not my favorite one of the series, but I feel satisfied with how things ended, and overall, I really love this series so much and am sad that we will be leaving all these characters behind now.